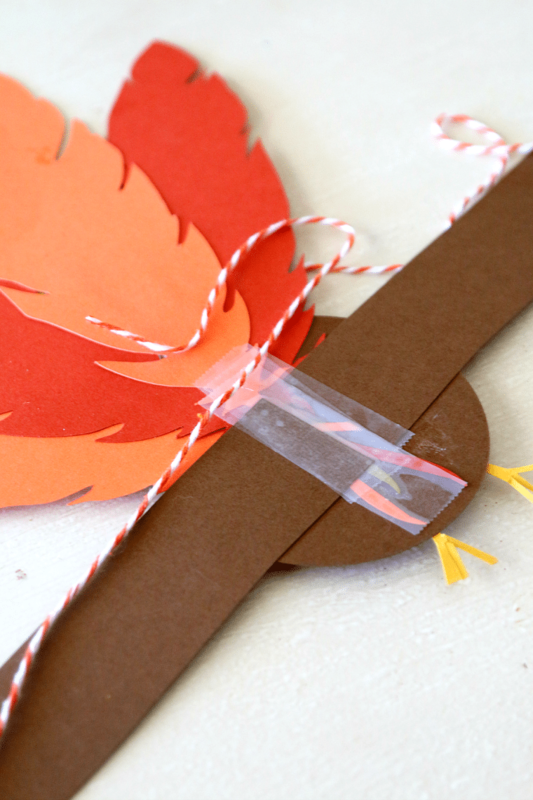 Make a Turkey Hat Thanksgiving Headband this year as you are gathering up Thanksgiving Crafts. 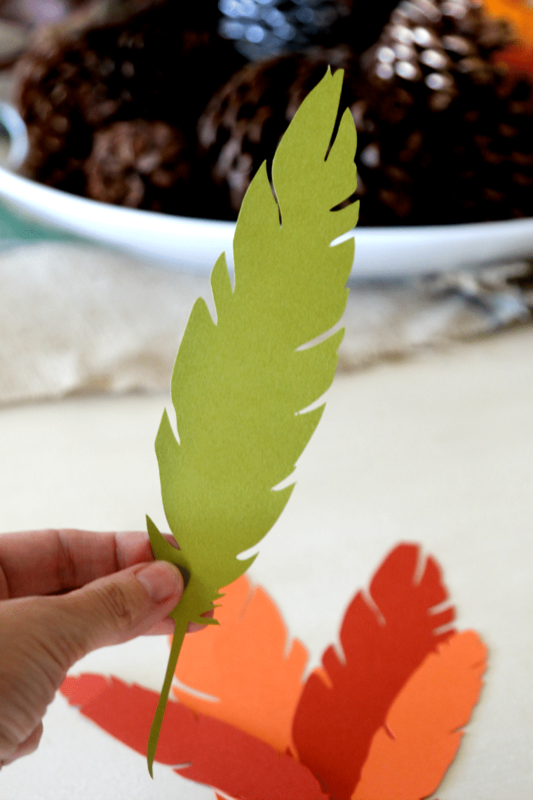 Totally easy and done with paper, this is an easy art project for most kids. 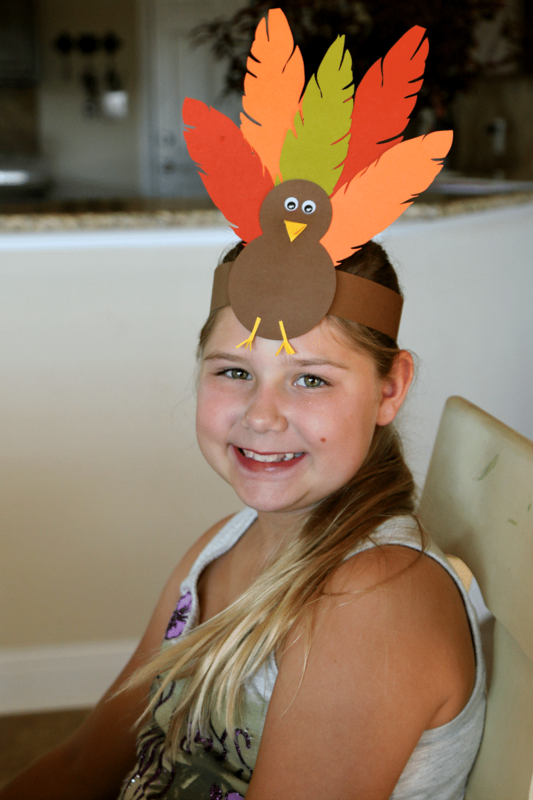 Create a thanksgiving hat with feathers and tie around head, adorable thanksgiving craft that will delight kids, easy to do for non crafty parents! Alright yall, I am winding down from thanksgiving crafting. It seems everyone goes from Halloween to Christmas, so I feel a little behind, even though we haven’t even gone past the holiday yet! I am going to try to push in like 5 more thanksgiving crafts this week (HAHAHAHA, no, but really) but other than that, I think we have to move on to December. Plus, I am a Thanksgiving failure. I haven’t even begun to plan dinner and oh- I am hosting this year. I should probably hide the glue from myself and start searching Pinterest for some food ideas, but what fun is that?? Now this is one of those ideas we just started working on and let it develop itself. I wanted to make a hat of some sort so we just got some feathers and glued until we figured out the direction it was gonna take. This ended up turning out so much cuter than I thought it would be and here is the thing- you do NOT have to make a hat. You can simply make the turkey and wrap your headpiece around jars instead for a center piece. Or glue to a Popsicle stick for a puppet. The beauty of kid crafting is you do not have to get stuck in a whirlpool- create the way it feels natural to you! 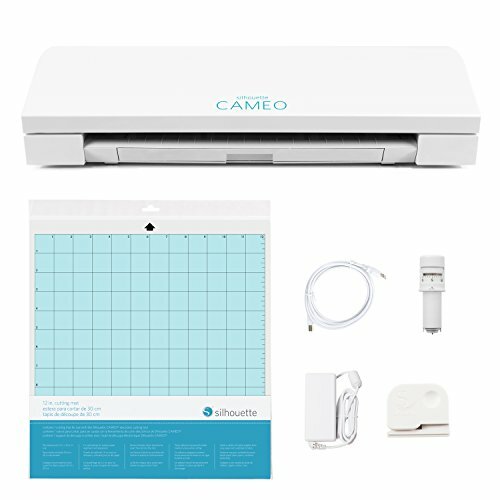 Before we get started, lets talk about the Silhouette Machine . This thing is insanely fun, easy, and can create pretty much any shape- which means any type of project you want. 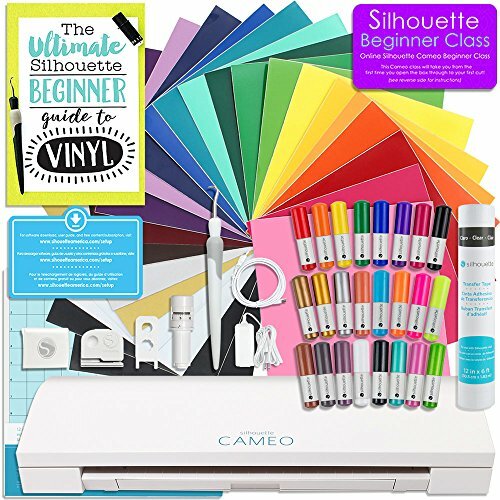 It cuts, draws, does vinyl… and its worth every penny. You also don’t need cartridges like you do with other cutting machines. I go to their downloadable website and buy shapes for as little as 50 cents for special things and have learned to create my own. If you have been thinking about getting one, just do it! If you visit here a lot you know that I prefer to SHOW you rather than conform you to some directions that will have you second guessing if you are doing it right or wrong. The gist is that you need to cut out some feathers. 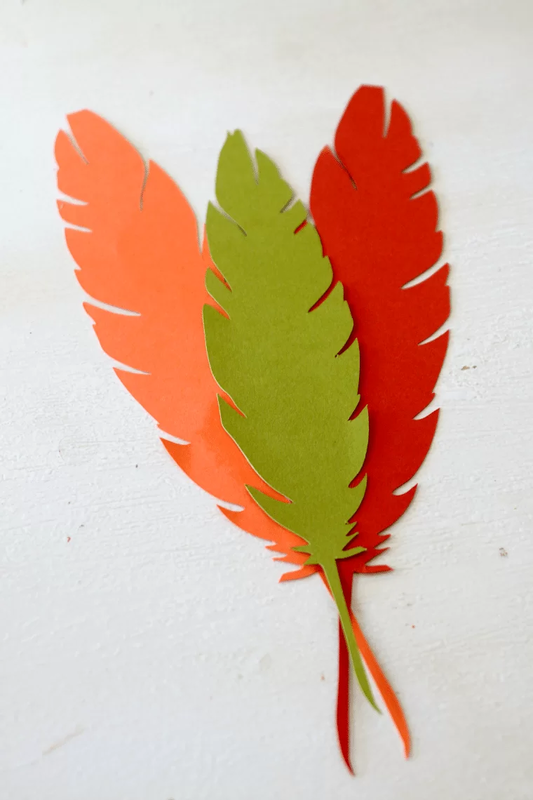 I used a machine so my feathers would look super pretty, but you can hand cut some or heck, you could even buy REAL feathers if you chose- that would be very pretty too. 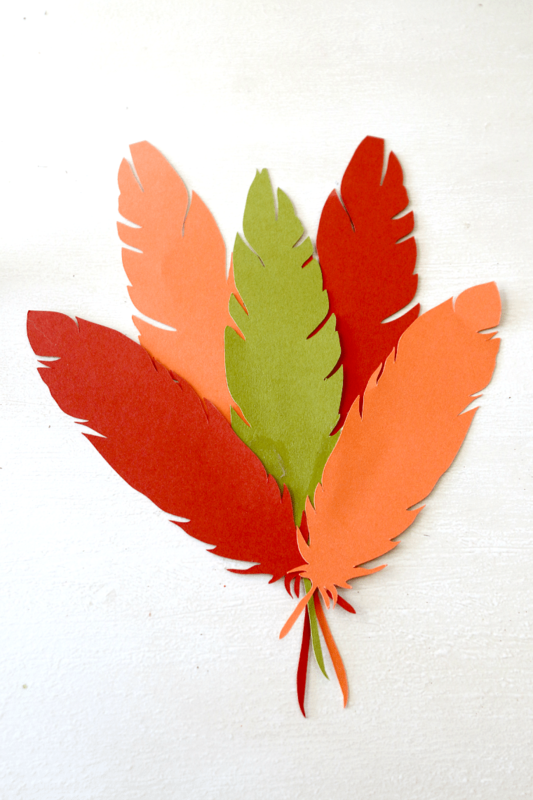 Then starting with the feathers we made a pattern till it looked “turkey” like. 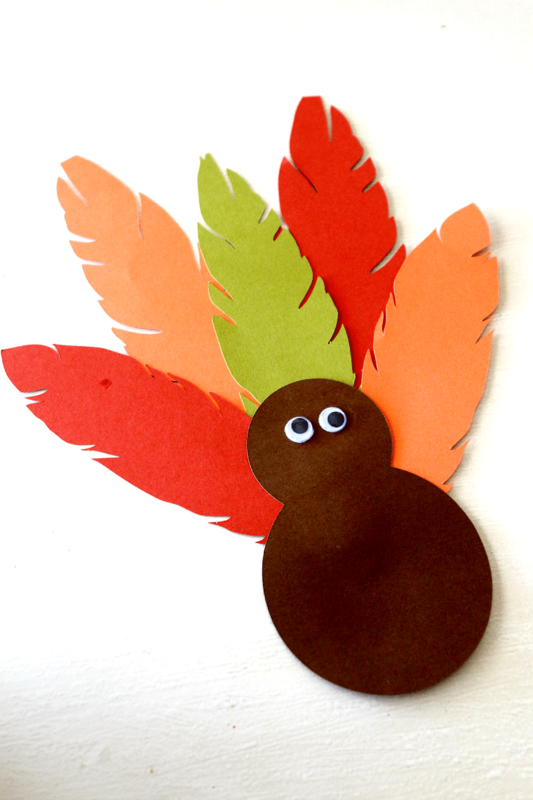 Now taking your Turkey Body, glue it on and attach some googly eyes. Googly eyes make all things better. Then add some feet and a beak. I just hand cut those. For the head attachment, I cut two long strips of brown paper and attached them in the middle of the backside of the turkey. These are two separate pieces but if your paper is long enough, surely you can cut one. 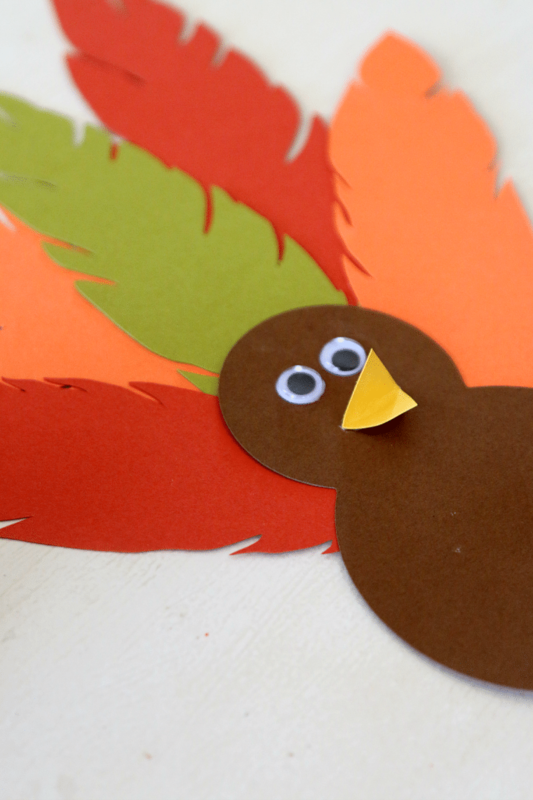 Center your turkey on the front of the head and bring your head pieces to the back. Cut if too long. Hole punch the two pieces and secure with twine. Now you can tie in a bow in the back! Now that you have read the instructions, check it out! 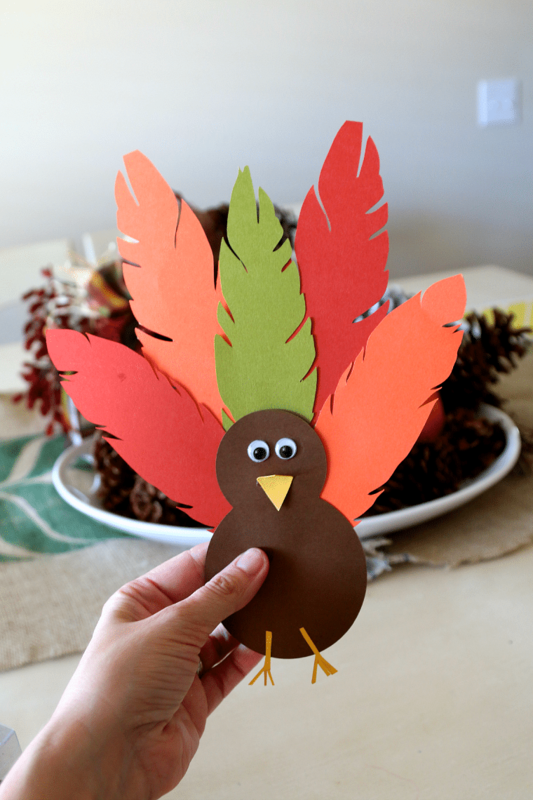 Love my turkey craft? Do not forget to follow my other Thanksgiving Crafts here or catch up with me on Facebook where I include crafts, contests and idle chit chat.